This is the continuation of our blog posting from Sept 28th on concussion prevalence, symptoms, & testing. Part 2 focuses on concussion managements & recovery - make sure you read Part 1 if you haven't already! 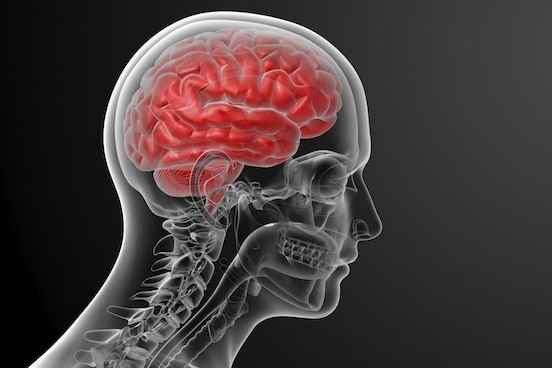 How should we manage a concussion? A properly trained allied health care team should have a protocol set forth for return to school and return to play. Primary care physicians, neurological specialists, nurse practitioners, physician assistants, physical therapists, and athletic trainers should all work together in accordance with state and local practice acts to help facilitate and manage concussion recovery. Clearance for return to play must be obtained by an appropriate health care provider before returning to sport. Sleep is important to allow the brain to recover. Sleep disturbance is a common symptom that needs to be managed. Accommodations vs. complete removal from school – each student and each concussion is unique. A multidisciplinary team should develop individual accommodations for each student to foster and facilitate recovery for a student with a concussion or lingering concussive symptoms. Age plays an important role in the ability to describe symptoms, so it can make concussion management difficult. Adults heal quicker than children, but we have to remember each concussion is unique and healing times will vary widely. Every school should have a return to play protocol. Once symptom free for 24 hours, a student-athlete will be supervised and progressed through the 5-day minimum protocol, with exertion increasing each day. Symptoms will be monitored, neurocognitive tests will be re-administered, and a clinical decision will be made on RTP based on all the data present. Can sports equipment prevent a concussion? When it comes to sports equipment, such as football helmets, the fit is the most important aspect to consider. Helmets will not prevent concussions – they are designed to prevent serious head injuries. Remember to have your football helmets re-certified every two years. Look for the National Operating Committee on Standards for Athletic Equipment (NOCSAE) sticker on the back of the helmet to be sure. Hockey and lacrosse follow similar guidelines. What if my symptoms continue to occur? No single test will prove you have post-concussive syndrome. If your symptoms continue to linger after your concussion, you should talk with your primary care physician to seek out additional treatment strategies to facilitate your road to recovery. PT360 offers the only comprehensive and research based Post-Concussion Syndrome (PCS) program in Chittenden County. This program is designed for clients who continue to struggle with on-going concussive symptoms 6 weeks or more after initial injury. We implement a sub-threshold exercise regime with the goal of returning the patient/athlete back to their previous level of activity in a safe and controlled manner. For more information regarding how PT360 might be able to help you, check out our post-concussive syndrome program.